An employer has lost a wrongful dismissal case after a court found that its safety rules, which it alleged the employee violated, were unclear and not clearly-communicated. The employee worked at a solid waste facility in the Yukon. The employer fired the employee and attempted to prove “just cause” on the basis of absenteeism, poor working relationships, use of company cell phone for personal calls, and safety violations. With respect to safety, the employer claimed that the employee did not like to wear her safety vest and steel-toed boots, despite it being a job requirement, and that the employee was constantly reminded to wear her hard hat. The employee acknowledged that she knew that if she did not comply with the safety rules, she would be fired; however, she said that the rules were unclear and she had asked that they be written down. “I find that the Society did not take the necessary steps to ensure that there was a clear and unequivocal set of rules, guidelines and/or policies that made it clear what equipment was to be worn at what locations and at what times. I find that, to the extent that there was some verbal direction provided, this direction was not entirely clear and cannot be relied upon as establishing a standard that Ms. Goncharova can then be viewed as having breached. The employer also failed to prove that the absenteeism, relationship issues and cell phone use justified the dismissal. This case illustrates the importance of clear communication of safety rules where the employer wishes to discipline or dismiss the employee for a violation of those rules. A B.C. bartender has lost his human rights complaint after he was dismissed for smoking marijuana on shift. The bartender also served as assistant manager of the restaurant. The employer had a policy that prohibited consumption of drugs or alcohol while on shift. The policy was meant to ensure that employees – including bartenders, who monitored customers’ consumption of alcohol – did not themselves become intoxicated. After being caught smoking marijuana, the employee claimed that he used it for a a”chronic pain condition”. He filed a complaint with the B.C. Human Rights Tribunal against his employer, the executive chef and general manager, and the restaurant owners, claiming that his dismissal was discriminatory because of his “disability”. The B.C. Human Rights Tribunal concluded that there was no evidence that the employer was aware that the bartender’s marijuana use was related to physical disability. Therefore, the employee had not proven that there was a connection between his disability and his termination. As such, his human rights complaint was dismissed. An Ontario man has been found guilty of three counts of violating the Professional Engineers Act by using the protected title, “P.Eng.” in a resume and in communications with a construction firm at which he was seeking employment. The construction firm had asked for confirmation of the man’s P.Eng. status on several occasions, and then called Professional Engineers Ontario which confirmed that he had never been a licenced professional engineer in Ontario. The man was fined $2,000.00 on each of the three charges, for a total of $6,000.00. Employers often retain professional engineers for safety-related advice, such as whether a machine is properly guarded. Employers should take steps to confirm that the person holds a “P.Eng.” and a “Certificate of Authorization” that authorizes individuals and companies to carry on business offering and providing professional engineering services to the public. The PEO maintains searchable online directories. Professional Engineers Ontario’s press release can be found here. An employer that failed to attend a safety-reprisal hearing has been ordered to pay two employees damages of more than $25,000.00. The employees filed an application with the Ontario Labour Relations Board claiming that their dismissal was a reprisal under the Occupational Health and Safety Act. The employer failed to attend the hearing. The OLRB noted that subs. 50(5) of the OHSA places the burden of proof on the employer, in safety-reprisal cases, to show that the employer had not retaliated against the employee for raising safety concerns. Because the employer failed to attend the hearing, it had not discharged that burden of proof, and was deemed to have accepted all of the allegations in the employees’ reprisal complaints. One of the employees had been unemployed, after her dismissal, for 30 weeks. She was awarded 30 weeks’ wages as damages. The other employee was pregnant when dismissed, and was entitled to back pay for the four weeks before her Employment Insurance maternity/parental benefits began. The OLRB also awarded both employees damages in the amount of four weeks’ wages for the “loss of employment” plus $1,500.00 each for “mental distress”. The damages totaled $25,848.00. This case illustrates what already appears self-evident: employers faced with safety-reprisal complaints under the OHSA must respond and participate in the hearing, or else they will be deemed to have admitted the employee’s allegations – and will be liable for damages. A worker who used medical marijuana has been ordered to give his employer any medical records touching on his treatment. The worker was a long-service journeyman welder employed at the employer’s potash mine. He claimed to suffer from an anxiety disorder and headaches. He obtained a prescription for medical marijuana to treat his medical condition, and an authorization from the federal government for that prescription. He claimed to use medical marijuana in the evenings, away from work – not in the workplace. He disclosed this information to the employer’s workplace occupational health nurse. The employer then suspended the employee and placed him on leave until he provided evidence that he is no longer being treated by a prohibited substance that exceeded the employer’s identified thresholds and caused impairment. The worker discontinued his marijuana use and filed a grievance alleging discrimination because of his “medical prescription”. The employer demanded that the employee produce his application for medical marijuana authorization, and medical records pertaining the conditions treated by the medical marijuana and the treatment proposed or undertaken. It argued that without that information, it could not assess whether marijuana is an appropriate treatment, whether a more appropriate treatment was available, and whether the worker was fit to work in a safety-sensitive position while under the influence of marijuana. The arbitrator noted that because the employer had acknowledged, in a communication with the Saskatchewan Human Rights Commission, that the employee suffers from anxiety and cluster headaches, it could not resile from that admission in this case. As such, the employer was not entitled to medical documentation about the worker’s “underlying disability”. The employer was, however, entitled to medical documents relating to the employee’s current or proposed treatment. The availability of alternative treatments was an issue in the arbitration. The employer could not argue its case if it was not permitted to have access to the medical records dealing with the worker’s proposed and undertaken treatment. Further, the union was challenging whether the worker’s prescription and use of marijuana would cause impairment such that he would be unfit and/or unsafe for work. This also made the treatment documentation relevant. The arbitrator decided that the employer should be permitted to determine what information the employee’s doctor had about the worker’s “Fit for Duty workplace requirements” in terms of permitted treatment options, strain potency and frequency of marijuana use, and whether alternative treatments were available, appropriate and/or recommended. An Australian employee has won her bid for workers’ compensation benefits for psychological injury after she learned that a coworker had taken covert photographs of her. The coworker had taken covert photographs of a number of people, including the employee. Some of the photographs concentrated on the employee’s chest area with her head and face out of the photo. She was identifiable because other photos included her face. The coworker had used electronic devices supplied by the employer (a state library) to take the photographs. Over 2,500 photos were found on the electronic devices, a number of which focused on the chest area of female employees. The court decided that there was a “necessary association between the injury and the employment”. Had it not been for the employment, the employee’s psychological injury would probably not have occurred. As such, the injury “arose out of, or in the course of, employment”. Further, the employment was a “significant contributing factor” to her injury, given the evidence of her psychiatrists. The applicable workers compensation legislation provided that workers were not entitled to benefits for psychological injury if it arose out of “reasonable management action”. 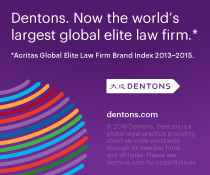 The court decided that, considered “in a global way”, the employer’s actions had not been reasonable. In particular, the employer had delayed in telling the employee about the photographs and their nature; the employer did not say anything to her until she approached another employee about the matter; and the employer had not imposed any disciplinary action on the male employee who took the photographs, but instead had allowed him to resign at the end of his contract (with four months of notice). As a result, the employee was entitled to workers’ compensation benefits for psychological injury. An arbitrator has decided that an operator of a long term care facility violated both the Occupational Health and Safety Act and the collective agreement by sharing an employee’s medical information with another employer, without the employee’s consent. The employee was a part-time dietary aid at the long term care facility, St. Patrick’s Home of Ottawa Inc. After the employee advised that she required an accommodation in her other position at a different long-term care facility due to medical reasons, St. Patrick’s asked her to provide a medical certificate indicating her fitness and ability to do her job. The other long-term care facility began to question whether the medical restrictions that she was presenting to them were legitimate. The other long-term care facility then requested certain information about the employee’s employment at St. Patrick’s, including whether she had worked her regularly-scheduled shifts, had requested any workplace accommodations or provided any work-related restrictions. St. Patrick’s gave the other facility that information, including a medical note that the employee had provided. St. Patrick’s later acknowledged that information should not have been disclosed without the employee’s consent. The arbitrator also found that the disclosure of the information violated the collective agreement in that it constituted “harassment”, which was defined in the collective agreement as, “any behaviour which denies and or undermines individuals’ . . . dignity and respect, and that is offensive, embarrassing and humiliating to said individual.” Lastly, the arbitrator held that the disclosure constituted the tort of “intrusion upon seclusion”. The arbitrator ordered St. Patrick’s to comply with its own confidentiality policy and to pay the employee $1,000.00 in damages. This case illustrates the increasing importance of privacy – particularly of medical information – in the workplace, and that privacy obligations can come from unexpected places, including the OHSA. A city has won a suspension of a Ministry of Labour inspector’s decision that the city was a “constructor” under the Ontario Occupational Health and Safety Act on a watermain-improvement project. The city was the “owner” of the project. It had retained, for the project, a construction company which had assumed the role of constructor under the OHSA and was carrying out the duties of constructor on the project. The city asked the Ontario Labour Relations Board to suspend the operation of the inspector’s Order that the city was the constructor. The MOL opposed the suspension request, alleging that the city had retained a great deal of control over the project, including the timing of some of the work, and had control over the construction company and the police service (which performed some traffic control functions in connection with the project). The MOL argued that because the city had such “control”, the city should also have the duties of constructor under the OHSA. The OLRB suspended the MOL inspector’s Order pending the outcome of the city’s appeal challenging the inspector’s decision. The OLRB decided that the safety of workers on the project would be maintained because the construction firm was an “experienced and responsible entity” which was carrying out the duties of constructor on the project. While the city may have requested and paid for the traffic control services provided by the police, it was at the construction company’s request that the city contacted the police and arranged for traffic control. The construction company “more closely resembled” the constructor on the project. Compelling the city to carry out the obligations of the constructor would cause it prejudice that it ought not to bear if it was not in fact the constructor. An employee who shut down a production line allegedly because two other employees were fighting, was not exercising a proper work refusal under the Occupational Health and Safety Act, the Ontario Labour Relations Board has decided. His poor workmanship was also deliberate. The employee pushed an “E-stop” button, and said he did so because he saw two coworkers fighting. He said that he saw punches thrown and a headlock. He said that he pushed the E-stop button out of concern for one of the two employees’ safety. He did not show up at a meeting the next day to discuss the incident. The employer then dismissed him. The OLRB noted that under the OHSA, an employee may refuse to work due to workplace violence only when his or her own safety is at risk due to the violence – not the safety of a coworker. Here, the employee said that he was concerned about his coworker’s safety, not his own. Also, the OLRB held that the two employees were not, in fact, fighting, but rather they were engaged in horseplay. The employee could not have believed that their safety was in jeopardy. The OLRB stated, “In light of the foregoing, I find that Mr. McNerney was angry with Ms. Campbell and he decided to be difficult by producing defective products and unnecessarily pushing the E-stop button. Given how unusual it was for an employee to produce so many defective seats during a shift, I find it more likely than not that Mr. McNerney’s poor workmanship was deliberate.” The employee had no honest and good faith believe that a health and safety issue had arisen requiring him to push the E-stop button. As such, the OLRB held that the employee had not been dismissed for raising safety issues. There was no violation of the OHSA. An employee responsible for a minor, although unusual, accident in a company parking lot was justified in refusing to submit to an alcohol and drug test, a labour arbitrator has found. The employee was an electrician. His position was safety-sensitive. When backing up to park a vehicle, he backed into the only other vehicle in the parking lot. The employer demanded that he submit to a post-incident drug and alcohol test. The employee refused, citing advice that he had received from his union. The arbitrator found that nobody had thought that the employee was impaired. There were no signs of impairment. After the accident, the employee sat through a half-hour investigative meeting and “could not give anyone in the meeting the slightest suggestion of impairment”. Two managers, who were in the meeting, did not think he was impaired. The managers concluded that he could drive home safely. The cause of the accident was obvious: the employee’s carelessness, which the employee admitted. The managers were “reasonably able to exclude the possibility that drug or alcohol impairment” may have caused the accident. As such, the demand that the employee submit to an alcohol and drug test was not justified. A labour arbitrator has held that the practice of unionized long-term care home employees voluntarily working two 8-hour shifts in succession did not violate the Ontario Employment Standards Act or Occupational Health and Safety Act. With respect to the ESA, the arbitrator held that the practice did not violate section 18(1) which required that employers “give an employee a period of at least 11 consecutive hours free from performing work in each day.” That was because, according to the arbitrator, s. 18(1) permitted an employee to voluntarily work more than 13 hours in a day; as such, the collective agreement provision permitting double shifts was a greater right or benefit and thus did not violate the ESA. 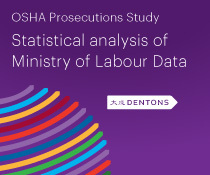 The issue under the OHSA was whether the employer, by permitting employees to work double shifts, was violating its “general duty” under s. 25(2)(h) of the OHSA to take all precautions reasonable in the circumstances for the protection of a worker, due to safety issues that could result from employee fatigue. The arbitrator noted that there was “no meaningful correlation” between workplace accidents or resident complaints and employees working double shifts. Also, the practice of double shifts was a reasonably-accepted industry standard. As such, the general duty under the OHSA did not require the employer to ban double-shifts. The arbitrator stated, though, that employees should voluntarily assess, before they take on an added shift, whether they are too tired to work safely. A general contractor on a residential project was responsible for the safety of its subcontractors even though it was not on site at the time of an incident. The general contractor objected to two compliance orders issued to him under the Nova Scotia Occupational Health and Safety Act, arguing that it was “not his work that was at issue, and therefore not his responsibility”. The general contractor had entered into a handwritten contract with a homeowner to do renovation work. The contract included the following among 11 areas of work to be done: “supply general contractor services for chimney repair re a separate service to this contract”. He then obtained four quotes for the chimney work and retained one subcontractor to do that work. He showed the subcontractor around the property and gave him a key so he could access the bathroom. The Labour Board found that there was an agreement that the subcontractor could use staging that the general contractor had on site as part of his contract, and that the general contractor would act as “paymaster” for the subcontractor. An occupational health and safety officer with the Nova Scotia government visited the job site in response to an anonymous complaint. He noted a number of safety issues including roofers working without adequate fall protection on improperly erected scaffolds. He issued compliance orders to the general contractor. The Labour Board held that the compliance orders were justified. The officer had reasonable grounds to believe that it was the general contractor’s worksite over which he had overall responsibility. The handwritten agreement supported this: it referred to “general contractor” duties. The subcontractor and his employee stated that they regarded the general contractor as their “boss”. An Ontario employee has won the right to sue his employer for damages for an injury suffered at work. An appeal court decided that a waiver he signed was, due to provisions in the Ontario Workplace Safety and Insurance Act, unenforceable. The National Capital Kart Club held a go-cart event at which the employee acted as race director. The employee was injured after one go-kart driver crashed into hay bales. The employee sued his employer, the go-kart driver and others. The defendants argued that a waiver, which the employee had signed, released them from any damages. The employer was not required, under the Workplace Safety and Insurance Act, to be registered with the Ontario Workplace Safety and Insurance Board. Therefore the employee did not have workers compensation coverage. 1. The worker is injured by reason of a defect in the condition or arrangement of the ways, works, machinery, plant, buildings or premises used in the employer’s business or connected with or intended for that business. 2. The worker is injured by reason of the employer’s negligence. 3. The worker is injured by reason of the negligence of a person in the employer’s service who is acting within the scope of his or her employment. The Court of Appeal for Ontario held that it was contrary to public policy to allow employers to have employees “contract out” of Part X of the Workplace Safety and Insurance Act (that is, sign a waiver giving up their rights, under Part X, to sue their employer for certain workplace injuries). As such, the waiver was unenforceable and the employee’s lawsuit could proceed. Employers that are not registered with the WSIB, and not required to be registered, should review their use of waivers – including waivers for company events. As a result of this decision, waivers signed by employees will not be enforceable to prevent the employee from suing the employer for certain injuries, including injuries caused by the employer’s negligence. An employee who was fired approximately one month after he told his employer that he “might get legal help” was not the victim of a reprisal, the Ontario Labour Relations Board has decided. Although the case was filed under the Employment Standards Act, the ruling is of interest to health and safety professionals. The employee did not mention the Employment Standards Act when he said that he “might get legal help” The OLRB decided that that assertion might describe a broad range of possible actions not limited to those under the Employment Standards Act. The employee admitted that he did not know about the Employment Standards Act when he said that he might get legal help. Shortly after his termination, he sent an e-mail to the company referring to wrongful dismissal and discrimination. This case confirms that generalized threats will not be enough to support an employee’s complaint that he or she has been retaliated against for asking the employer to comply with employment standards or health and safety legislation. The employee must have sought to exercise his or her rights under the particular Act before he or she can claim retaliation for doing so.